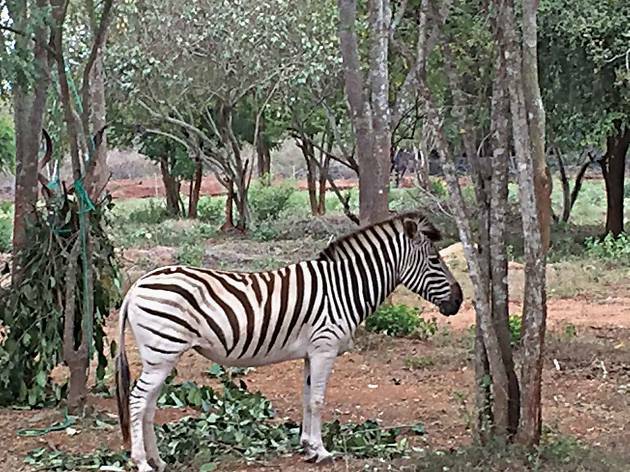 Set in the deep south of the country, in Ridiyagama Hambantota is Sri Lanka’s first man-made safari park, where animals from around the world roam freely while visitors travel around the landscape in guided tours. 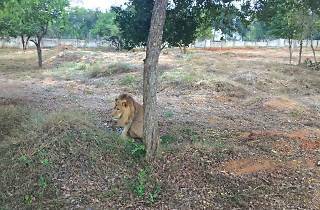 The Hambantota Ridiyagama Safari Park is 500 acres in extent and divided into several sections for different animals. 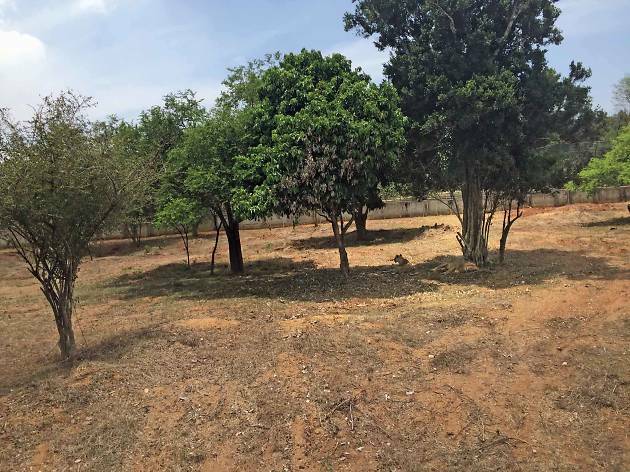 The first segment of the park now opened to the public, has a 16-acre service station, a 35-acre lion enclosure, a 54-acre Sri Lankan elephant enclosure and 80 acres for herbivorous animal species of the world. 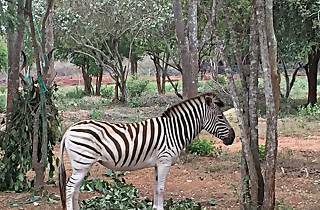 Around 22 species of animals including African lions, zebras, giraffes, Bactrian camels, Arabian orix, lechwe, Indian blue bulls, African cape buffaloes and large birds such as ostriches roam freely in the park. Watching the king of the jungle cautiously treading the new found habitation while zebras and ostriches seemed to be quite at home. Reminiscent of the African savannah, the ever-vigilant lion roams while the zebra watches its back for the king of carnivores to pounce at any moment. 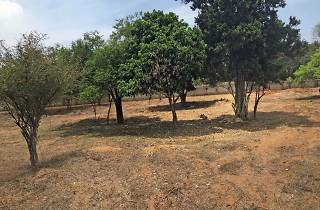 The Hambantota Ridiyagama Safari Park has been carefully arranged to allow maximum view for visitors without the exhilarating game of the hunter and the hunted. It will be a leisurely trip of observing the animals behaving uninhibited in a natural surrounding created in the new park. Four of the park’s six zones have been reserved for carnivorous animals while the remaining two zones host the herbivores. Two zones of the carnivore section will be exclusively reserved for fierce carnivorous animals such as lions, tigers, and leopards. 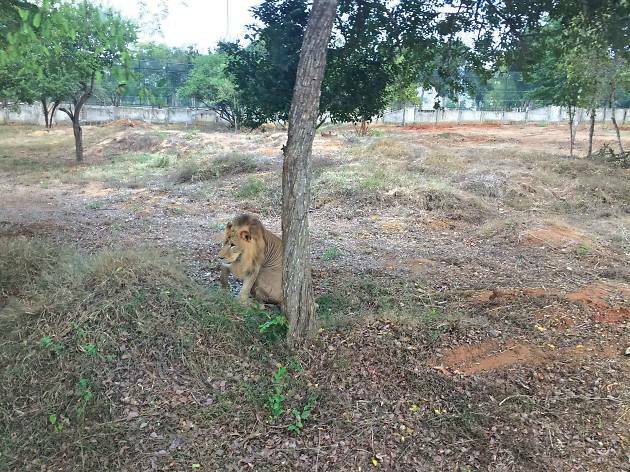 The first phase with the African Lion Zone, Sri Lanka Elephant Zone and World Zone is open for the public. The highly reinforced park with electronic gates provides a special bus service to take visitors around the park. There are facilities such as animal hospitals, an excellent internal road network and vehicle parks. Something to witness is the innovative waste disposal methods used at the park to have a minimum effect on the environment.